Frances Bobbie joined the College of Education Board in 2018. She is a CFP® professional and a vice president of Baird Private Wealth Management. She holds a bachelor’s degree in education. Frances worked briefly for financial legend Julian Robertson in the early days of his hedge fund, Tiger Management. She later joined Morgan Stanley in 1981. 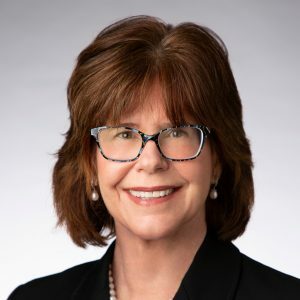 Her return to North Carolina led to a 26-year career with the firm that is now Morgan Stanley Smith Barney, joining Baird in 2012. Frances is passionate about giving back to her community. She currently serves as president of the Kiwanis Club of Raleigh, and her past service includes as a member of the Junior League of Raleigh, Leaders United of the United Way of the Greater Triangle, Board of Directors of Learning Together, Inc., Board membership at the Food Bank of Central and Eastern North Carolina, and as a founding member of The Raleigh Professional Women’s Forum. She has enjoyed her roles in fundraising for various non-profit agencies and her children’s schools over the past 30 years. Frances is married to Ron Bobbie, with whom she has three young adult children and a dog, Max. She enjoys riding her trail horse most weekends.